ERShub leads its educational action on more than a level embracing both post lauream and triennale (Bachelor Degree) or magistrale (Master Degree). In these last cases, it works thanks to the commitment of “ERS and students’ development” office. Nowadays, and increasingly in the future, all economic actors need to act upon a wide range of heterogeneous dimensions, to face diverse stakeholders and to be rated according to an array of different performance benchmarks. Learning how to manage this complexity, and how to navigate a web of interests linking different parties, thus is becoming a key skill any manager or entrepreneur needs to acquire. Therefore, educational programs for managers and entrepreneurs aspiring at building new leaders must convey these skills as a central part of their training. These skills are naturally experiential, and the best way to learn them is by taking immersive situations upon oneself. For this reason, ERShub designed ERSlabs as laboratories deploying a series of diversified learning activities to engage students of the Bachelor and Master Degrees of the Department and in the post lauream courses of LUISS Business School in problem-based experiences that can make them feel -and not only witness- the challenges and the beauty of conceiving business as a tool to create economic, social and environmental value. 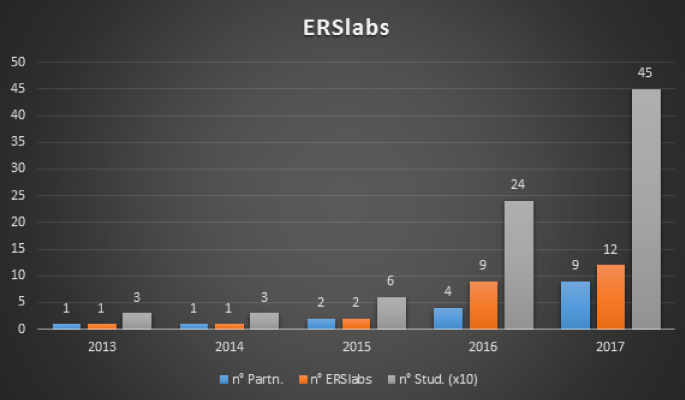 Through ERS Labs, students are able to learn about increasingly relevant themes related to Ethics, Responsibility and Sustainability, obtaining a sense of awareness, solidarity and social responsibility. Participants also develop other important skills such as leadership, teamwork, communication and negotiation. More specifically, when an ERSlab take place, ERShub makes a partnership with no-profit organizations, companies or institutions in order to develop real challenges for students. These challenges deal with the socio-economic causes and consequences of business actions, allowing students to experience the typical trade-offs between economic outcome, social impact, environmental footprint and ethical outcomes of their choices. ERSlabs encourage students to find innovative practices to overcome this trade-off, cross-fertilizing the economic, social and environmental spheres towards hybridization. In each ERSlab students are guided by specific tools and models based on brainstorming, simulation, creativity stimulation and “lateral thinking”. Experimentation becomes the essential characteristic of ERShub teaching methodology, as it constitutes the best way for students to learn what are the consequences of their action, to widen their perspective and open windows on the social and environmental dimensions, and to feel the real length of the reach of their agency. A dedicated scholarship named after Malala (recent Nobel Peace Prize winner, for her efforts in obtaining education for young women in Pakistan). A course on business ethics. Two two-day workshops with NGOs and social entrepreneurs to actively support them in their economic and social activities. Since the creation of ERShub the aim has always been to extend ERSlabs to all the Master Degrees of the Department and to all Business School programmes. In order to achieve this, ERShub enlarged the teaching proposal, creating new partnerships and experiences for students. ERShub is active, in the INTERNAL side, also at the Bachelor and Master of Science of the Department of Business and Management through the action of the office “ERS and Students’ development”. The office organizes ERSlabs that are compulsory (and give credits, too) allowing students to choose among a rich offering of ERS-based activities, reinforcing their awareness of ERS issues and experiencing teamwork, solidarity, responsibility and care for others. Thanks to this complex and multifaceted offering, the ERS and Students’ development received two important awards last years: in 2016 by Wharton and in 2017 by AIF. Here it follows the list of the complete offering. In Volontariamente project, ERShub provides students with a variety of volunteering opportunities through which they can experience practical activities with a high social and ethical value. Main features of these activities are: social engagement, practical work, personal development, personal involvement in borderline realities, contamination. These initiatives last approximately three weeks. Students attend the camps during summer holidays. The practical work in the field is always combined with theoretical training, so as to enrich their experience. 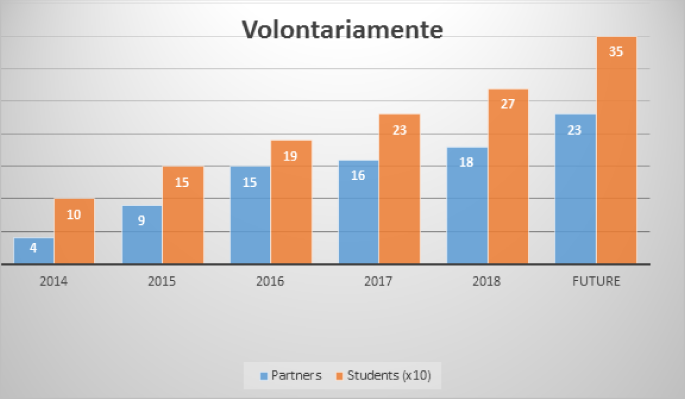 2017– 16 partners – more than 200 students involved, with the additional possibility to be engaged in full-year and/or foreign voluntary work. The main goal in the next future is to increase the number of partnerships and agreements, both in terms of number and typology. 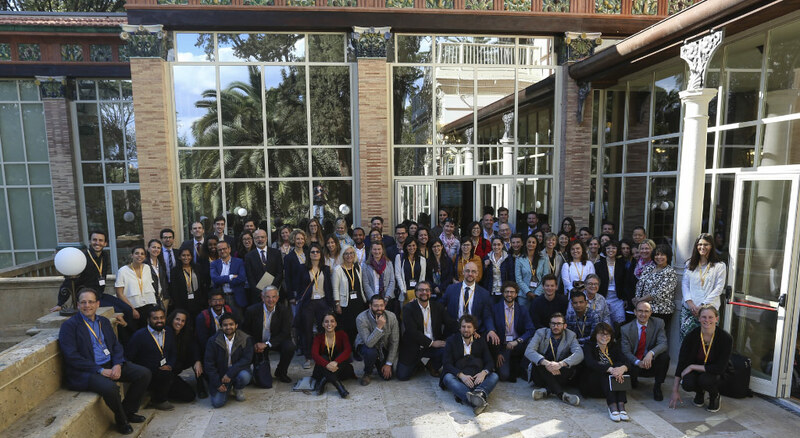 The aim is to foster activities, such as ERSlabs, internships, double-degree, mobility programs, research opportunities, and also at developing a widely-shared vision on business and impact. Although ERShub has already developed an impactful set of experiences in teaching, what remains a crucial point is the spreading of ERS contents horizontally, possibly in all courses. To foster this ideas ERShub developed the ERStoolbox (selected as Good Practice by European Entrepreneurship Education NETwork – EE-HUB, chiamata KNOW – “Knowledge & Names to Organize Workflow”), a dataset spanning a variety of teaching material, from entire courses with syllabi and suggested teachers to single lectures, from one-hour lectures by guests to cases on a series of ERS themes. The material is available for all the levels, from Bachelor to Executive-level education. At the moment, the ERStoolbox contains 19 possible teachers, between scholars and practitioners, from 19 different areas. Our target is to increase the rooster and diffuse the knowledge about it among the faculty, to allow for penetration of ERS content in all courses of the Department and of the Business School.